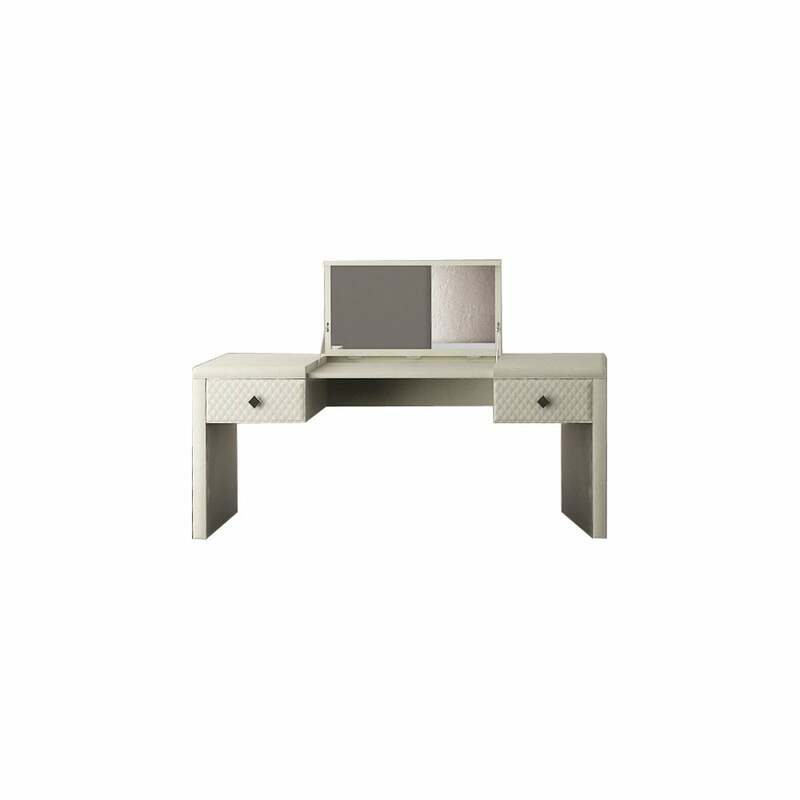 Exuding Italian elegance, the Reko 2 Dressing Table by Rugiano will bring a touch of glamour to any bedroom interior. Featuring a fold-down, in-built mirror, the sleek shape lends itself well to modern interiors where the beautiful finishes become the focal point. Upholstered in the finest Pelle or lacquered leather, the two drawers are crafted with quilted leather and precise hand-stitching. Finished with steel or bronze diamond shaped handles, these deep drawers are ideal for make-up and beauty essentials. A versatile dressing table for both modern and traditional interiors, use to display your favourite perfume, photo frames and skincare products. Available in a range of finish options, get in touch with our team to find out more.